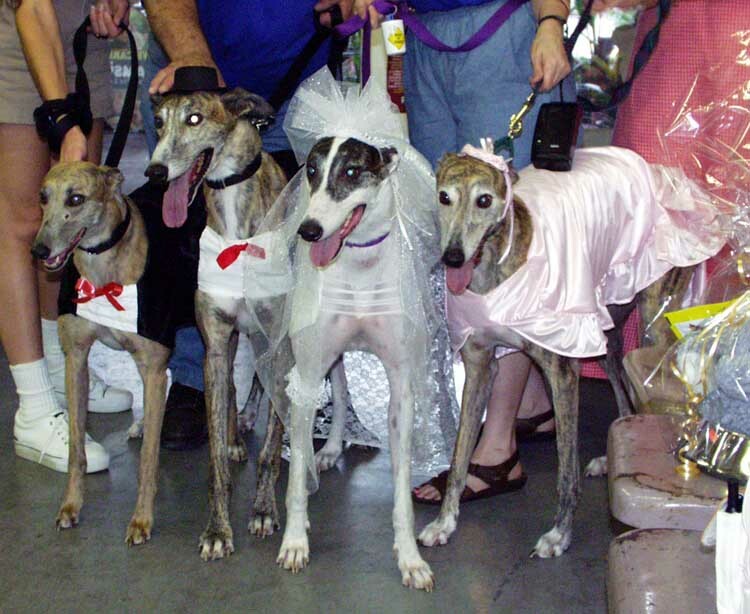 Dingo, Charlie, Crystal, and Nell were in the winning greyhound wedding party. (Although Dingo is a girl dog, she was a good sport and filled in for the missing groomsman.) This wedding party was featured on the evening news. This was Dingo's first Yappy Hour.